> and CFA Level 1 passed in 2009? It makes no sense for firms to hire a fresh finance undergrad degree holder even if he is coming from an ivy league. CFA L1 and especially L2 material is solid!! Passing L2 is only slightly impressive to an employer if you are about 22 years old and have very little to no work experience. Otherwise, they will just consider it relevant if you actually have your charter. The CFA charter really means something to people when you have significant experience to back it up. Most of the charterholders in our office are thirty-somethings with 8-12 years of solid investment experience. CFA is a must for some positions. Kinda like medical school if you want to cut open a chest. So I recommend if you want to cut open chests, get your CFA. Plus it helps at the interview if you are intelligent, humble, and have a good way with people. It’s a must have item, but it’s only a small piece of what matters to someone who will hire you. 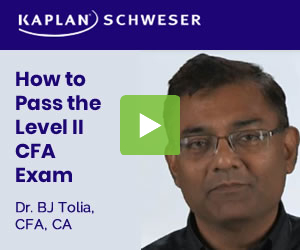 Passing level 2 is kinda nice because an employer might want to hire you at a reduced salary–you’ve got the goods in terms of ability to pass CFA exams, but you can’t yet apply to positions that require CFA. That was very insightful hawgdriver. I’m going back to school for my Masters in Accounting at St. Johns but a part of me is kicking myself for not going to an NYU or a Columbia but I can’t afford that. Just hoping that a high GPA, the CFA and possibly the CPA designations will be enough to get called in for interviews and land a nice position. Unbelievable how just going to an ivy league school opens so many more doors just because..